What is Communication Skill ? It is the skill which enables an individual to to convey or share ideas and feelings effectively to a small or big audience group. How does Communication Skill help an Employee ? According to a Corporate survey report, Employees having better Communication skills grow & secure top management positions more in comparison with the people with less command over these skills. They have better connect & are more influencing in decision making. Why is Communication Skill Training required ? Lack of Exposure or command over language make people ineffective in there communication. A formal training helps them to understand the Skill & implement it in after practice in there Professional & Personal life. What are different types of Communication Skills ? 2) Non-verbal / Interpersonal communication. Why have Communication Skills become so important Today ? In today's Corporate atmosphere there is a lot of Formal & informal communication. A person has to have a good command over Communication skills in order to convey the message in time and in effective way, maintaining the precision & protocol. What are the basic elements of Business Communication Training ? Do you need Communication skills training ? Struggle in situations where an urgent communication is to be made. You are not sure how the team perceives you. You think productivity can be increased if you had better Communication skills! 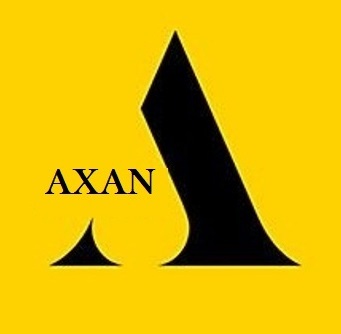 How does Team Axan help you ? Personalized Sessions – Personalized Discussion Sessions. English language Correction - Special Focus on correcting Grammar & General English. Latest Techniques–Adoption Latest techniques as per profile. Frequent speaking session – Special sessions for students facing challenge in expressing themselves. Flexible Timing – Special Time Slots available for working professionals or students. How to acquire Soft skills? Regular training needs to be conducted in every organization.